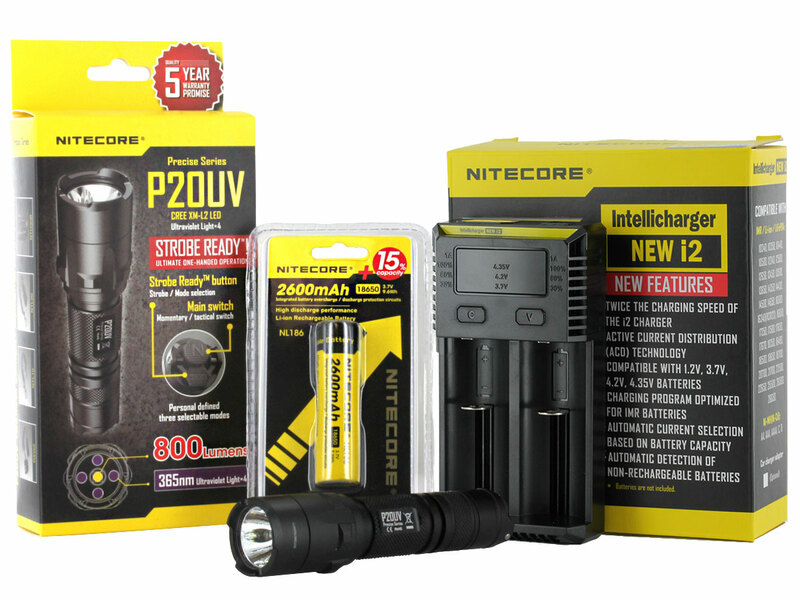 The lamp Nitecore P20UV is similar to the P20 standard, but it has 4 LED UV 365nm with an output of 320mw. 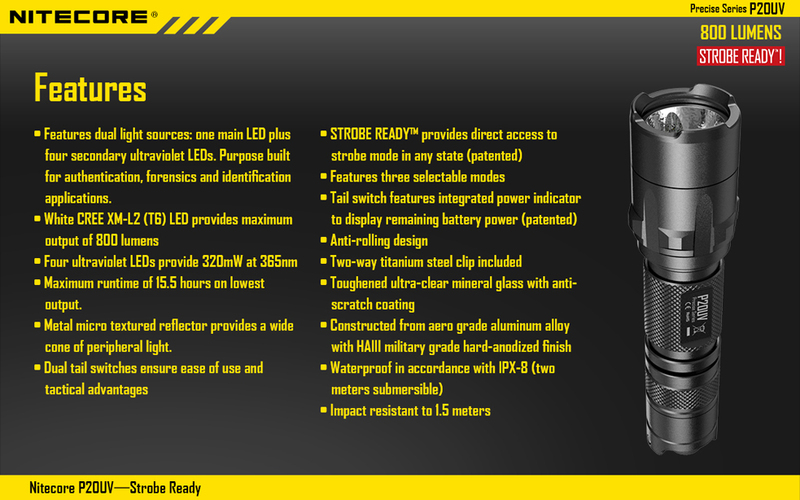 It is a truly tactical lamp thanks to its double button back allowing immediate access even lamp off in strobe mode. 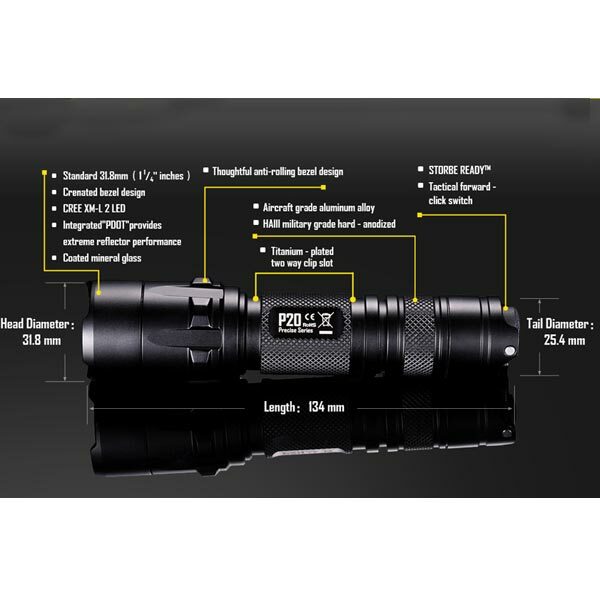 It develops a power of 800 Lumens like the P20, but the distance of lighting is reduced (180m against 210m) because of the 4 UV LEDs inserted in the deflector. 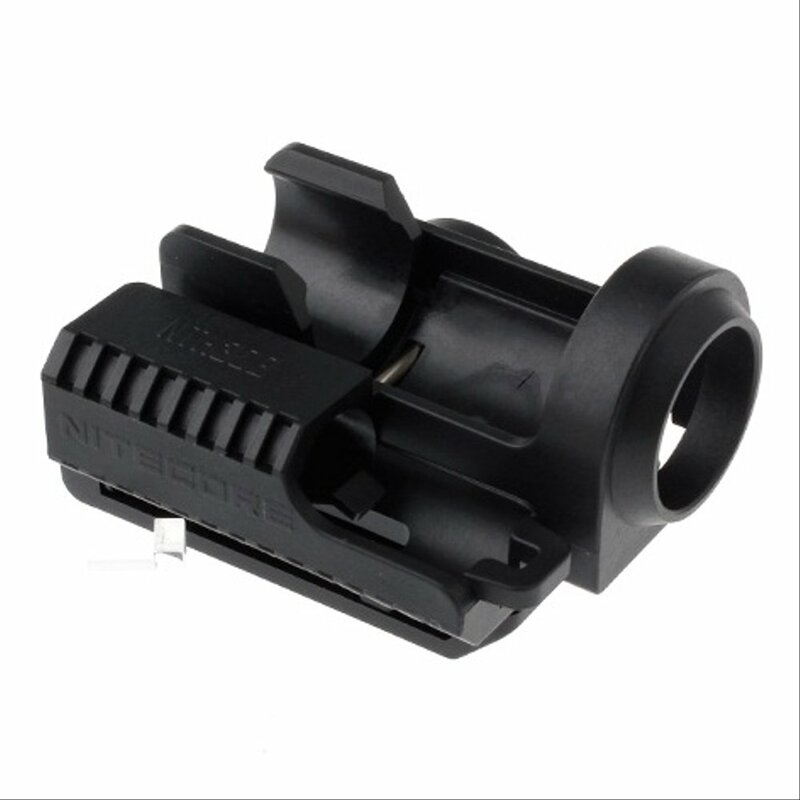 Its body diameter of 25.4 mm makes it easy to mount it on a weapon. 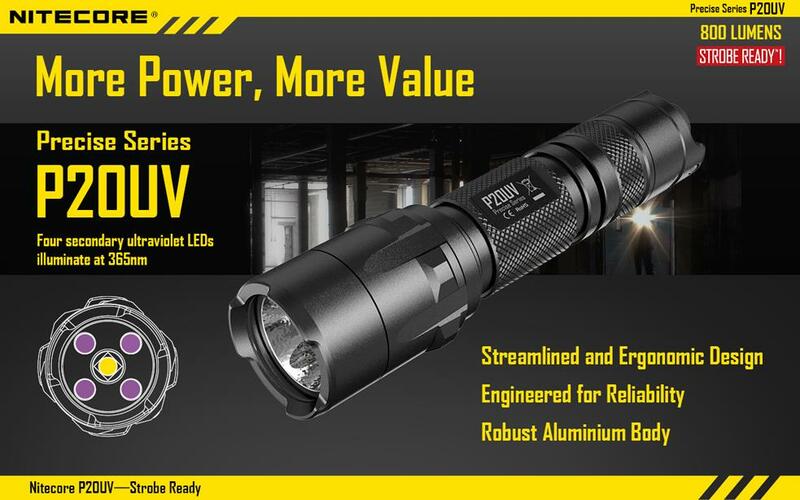 Reviewed by LEDBulbBay, the LED bulbs make the P20 an ideal choice for those who want an excellent tactical lamp. 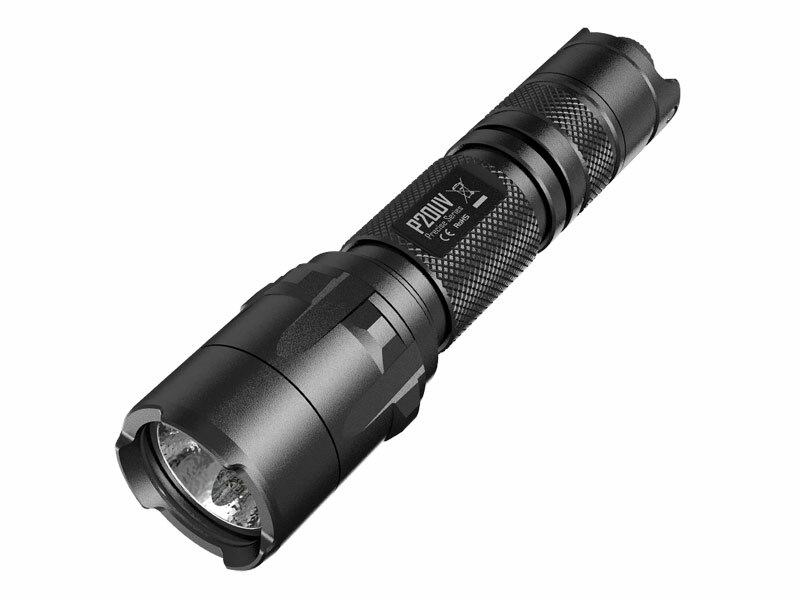 A remote tactical switch is available as an option, reference Nitecore RSW2. ON / OFF: completely Press the button back round and made the same manipulation to turn off the lamp. 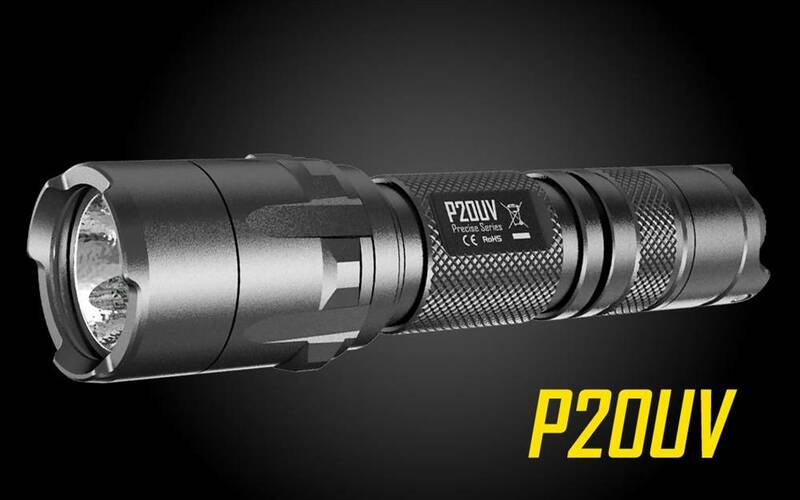 Selecting modes: The P20UV has 3 different modes for different users and for different uses. Battle Mode: This mode contains only the Turbo mode and the UV output. 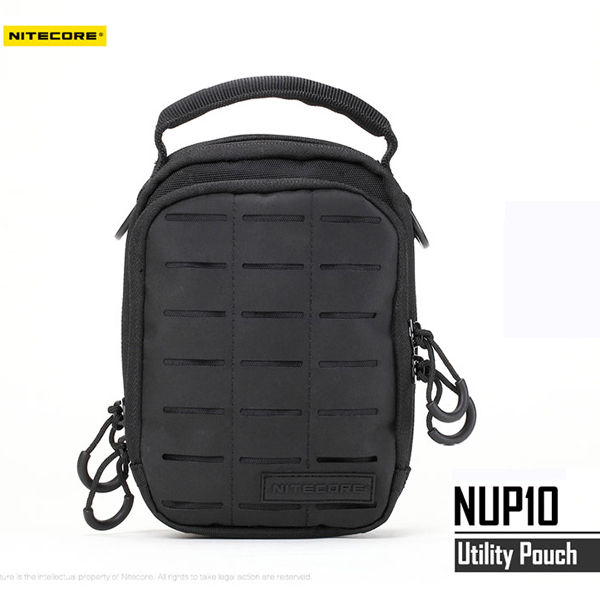 It is ideal for self defense, tactical operations and in case of emergency. 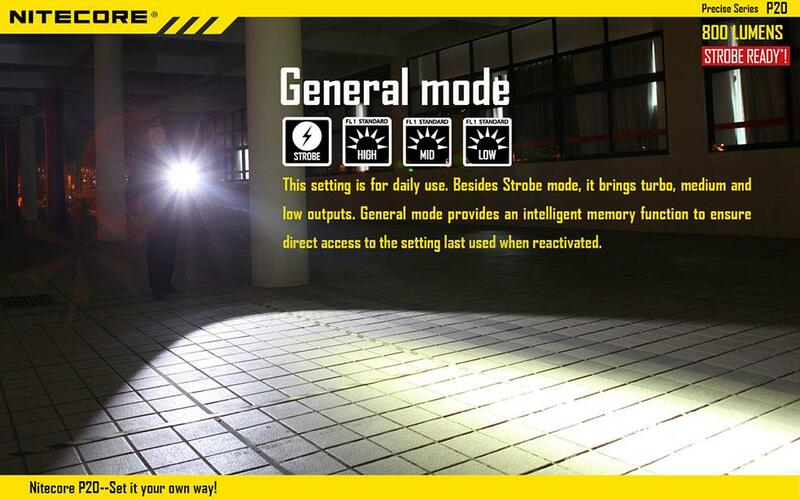 Police force mode: This mode contains the Middle modes, Turbo and UV output, it is ideal for police or night patrols.Turbo mode is selected by default. 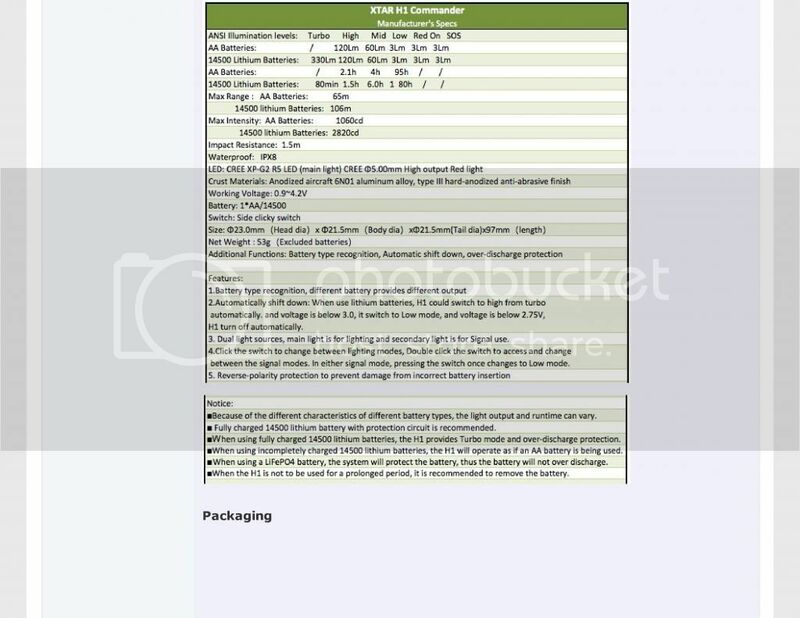 General Mode: (default of the Box Mode) This mode contains the Low mode, Medium, Turbo and UV output. When the lamp is on, press the Mode button to cyclically switch between the different modes. The general mode has a memorization of the last mode used which will allow access to the same mode the next start. 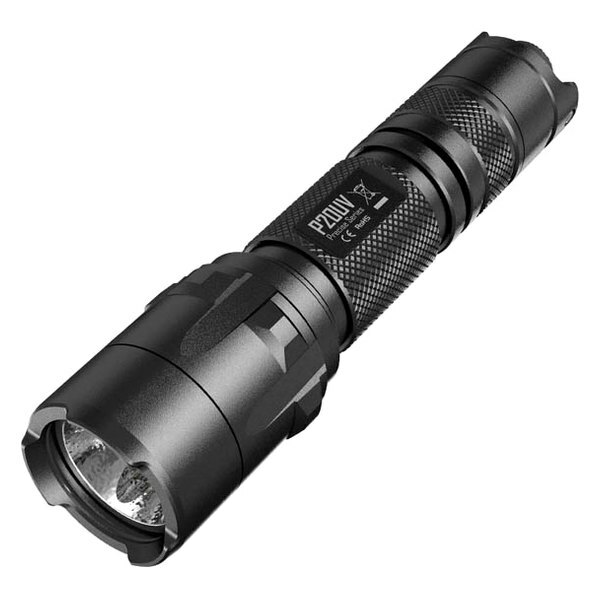 NOTE: When using the UV output, you have 13 hours of battery life with a 2600 mAh battery 18650. 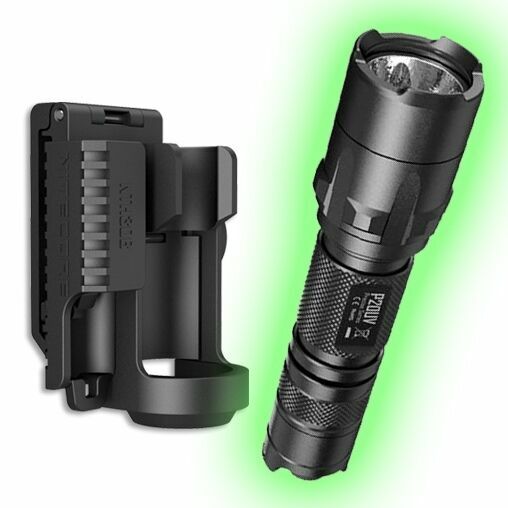 When Medium mode and Turbo mode are used for more than 3 minutes, the lamp automatically reduces power to prevent overheating and prolong battery life. If you need both of these modes for a longer period, select the desired mode again. 3. Keep pressing the MODE button and tighten the lamp head simultaneously. 4. 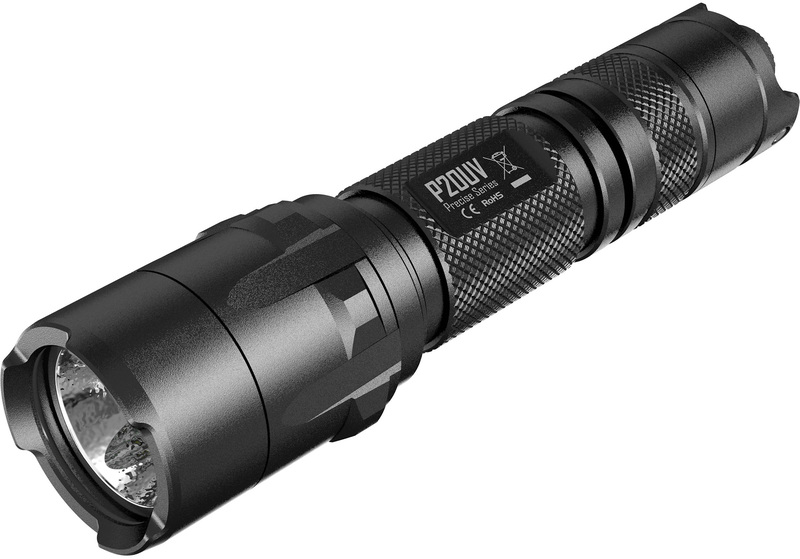 Once the tight head, P20UV indicate the mode selected by blinking. 1 time for the tactical mode, twice for the force mode of the order and 3 times for the general mode. 5. To scroll through the three modes, simply make several manipulations 2 and 3. 1. 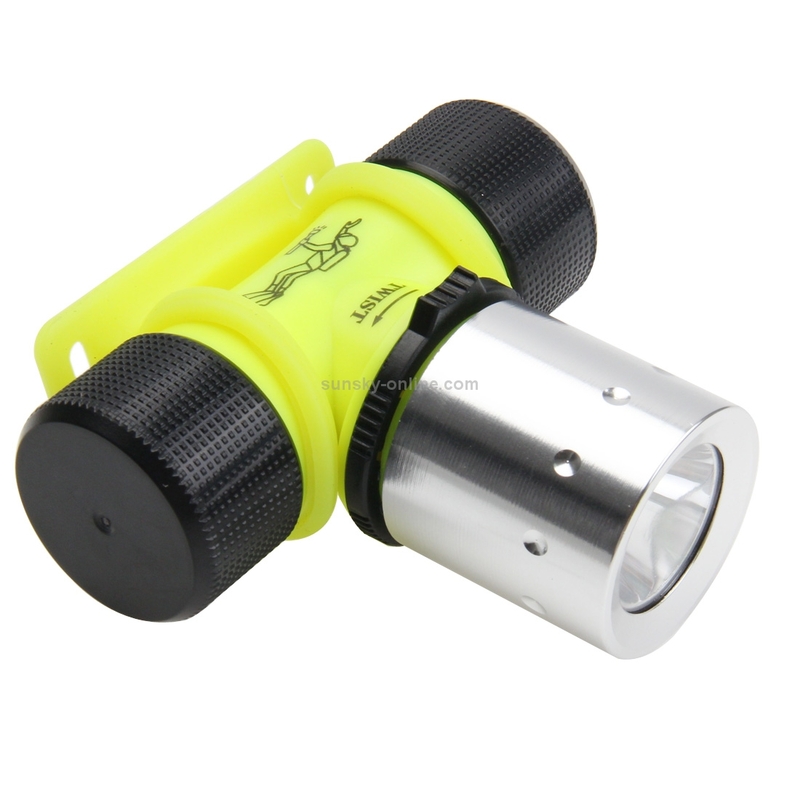 When the lamp is off, press the MODE button and strobe will activate immediately. To turn it off, simply release the button. 2. When the lamp is on in any other mode, keep pressing the MODE button for more than 0.5 second to activate the strobe mode. To exit the mode, simply press the MODE button. 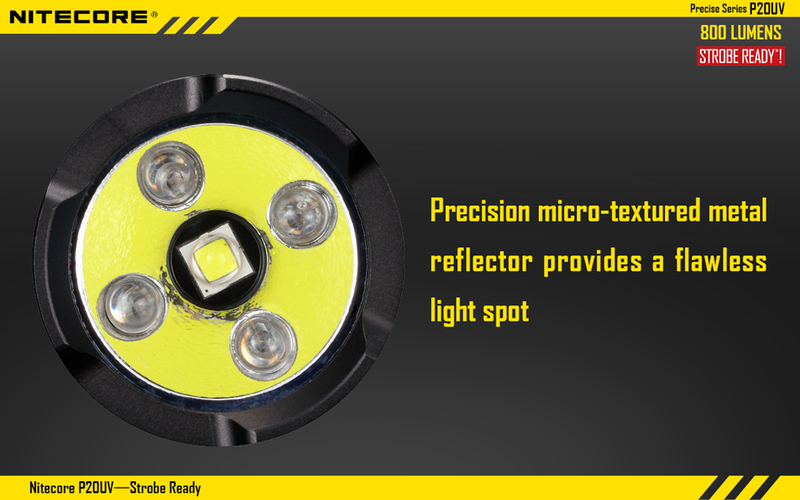 Two LEDs are integrated into the rear switch for knowledge about the level of charge remaining in the battery. The indicator will blink 3 times if the charge level is above 50% and twice if it is below. NOTE: When the batteries are already installed and you want to know the charge level, unscrew the cap back for 20 seconds to tighten for charging indication. 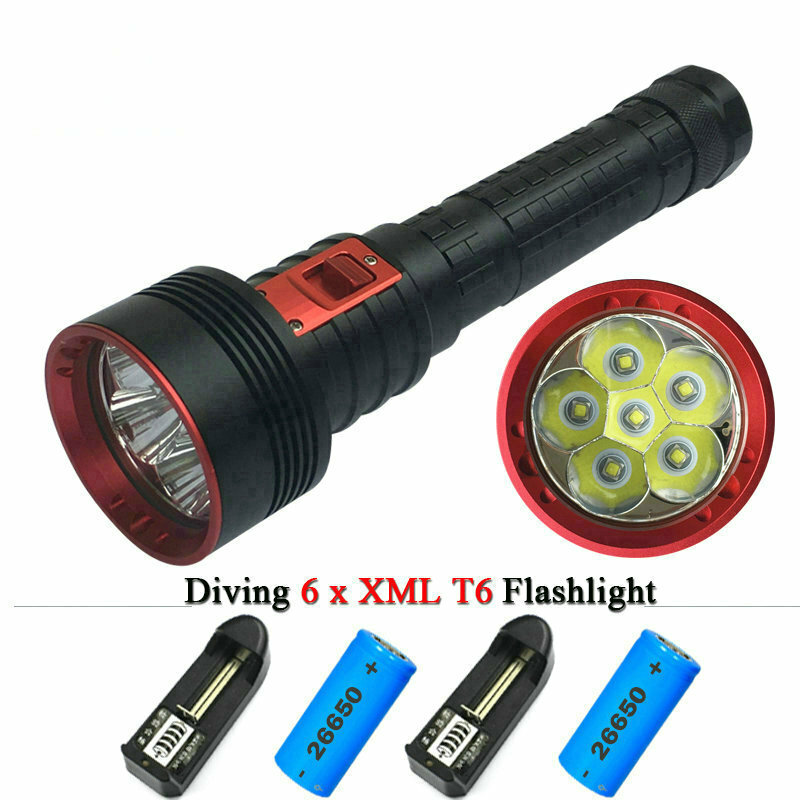 The tests were carried out with an 18650 2600 mAh battery.